Working Times Square - Workers in and passing through Times Square. Reflections in Times Square - Montage of images of Times Square photographed in camera. Collaborative Collage - A series of photographic collages created in anticipation of the millenneum. Created by Loic Lautard and Michael Berger. People of Times Square - A series of photographs of people as they pass through Times Square. Demolition Detritus Decay - In the city, at the ocean shore, and in the desert. Les Halles, Paris France - The old Paris market. A series of emotional photographs rising from a life of despair. 2007 Coney Island Mermaid Parade - The 25th Annual Mermaid Parade. 2006 Coney Island Mermaid Parade - The annual Mermaid Parade has become a Coney Island tradition welcoming the summer. 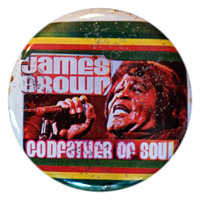 New Yorkers Celebrate James Brown - James Brown's final visit to New York City. All images ©1997 - 2009. All rights reserved with the individual artists.